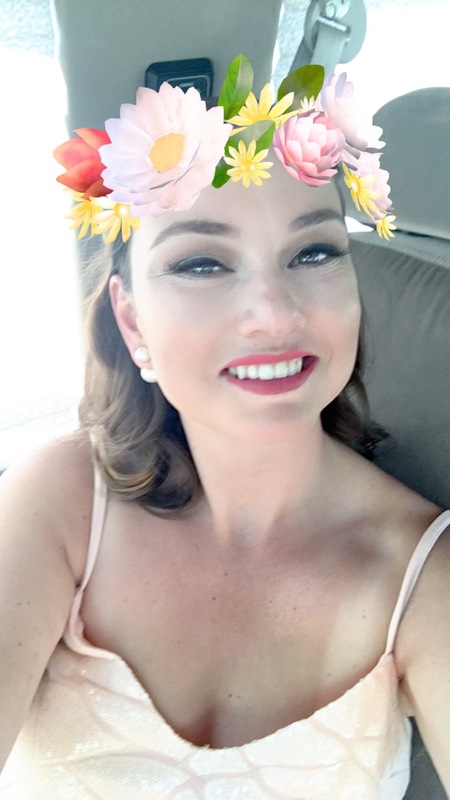 It's me, Nicole, from Polish Me, Please! Amy was so sweet to give me the opportunity to write a guest post for her while she's on her awesome vacation, and the theme was- TRAVEL NAILS!! Well, while she was packing up all her goodies including but not limited to wrapping each of her nail polishes extra-carefully for her move to NYC, I just totally had NYC on the mind, so my nails are really kind of a hybrid moving/travel nails. When I told Amy, she was like, "Oh it's ok, lots of people like to travel to New York!" So... let's go with that! Ready to see my NYC nails? 2. 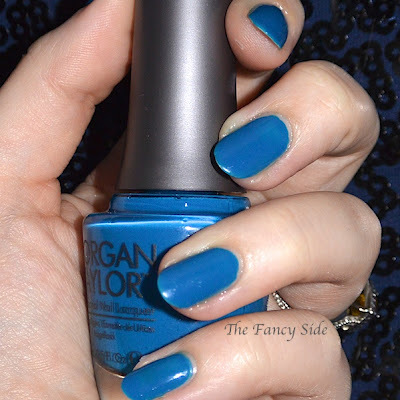 Using Julie G Hot Cinnamon and Zoya Tomoko on a makeup sponge, make a gradient on your ring finger. 3. Allow the gradient nail to dry for a bit while you stamp your other nails. Stamp your index finger with SH Rapid Red and Cheeky plate CH54 with the I <3 NYC design, and stamp the apple from the Salon Express plate SE18 on your middle finger. 4. Use a dotting tool and white polish to fill in the apple, then use the dotting tool or a toothpick and black polish to make the little apple seeds. 5. Use the same Salon Express plate (SE18) and SH Rapid Red and SH Brisk Blue at the same time to make a semi-gradient butterfly stamp on your pinkie. 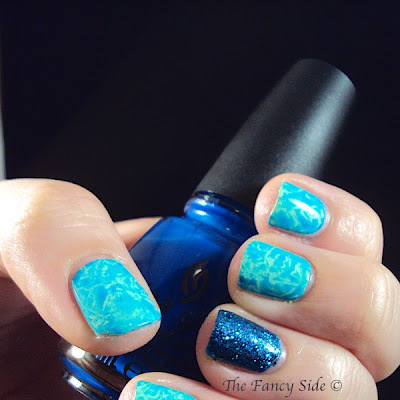 This was my first try at the whole gradient-stamping thing and it didn't work out very well. If I re-did these, I would probably just keep the butterfly red. I will try to figure out how to do it better and post a tutorial on my blog sometime in the future. 6. Make sure your ring finger nail is totally dry, then use CH43 to stamp the Happy Happy Hippo over the gradient using Konad Special Black. 7. Since these are matte textured nails, you don't even have to apply topcoat! You're done!! Amy- have a great trip and I can't wait to hear about it when you get back! Thanks so much for having me here on your blog! :) Thanks to everyone for reading my post and till next time- Happy Polishing!!! You may remember Nicole from the Gender Reveal Nails. Nicole has some of the best stamping manis around. Especially over textured polishes. I need to try that sometime! I love that she was sweet enough to take the time to create some nails for all of us! 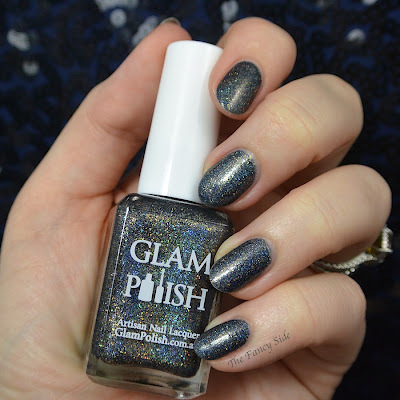 Be sure to pop by and say Hi over at Polish Me, Please! Go find her purple texture gradient! It gives me serious nail envy everytime! 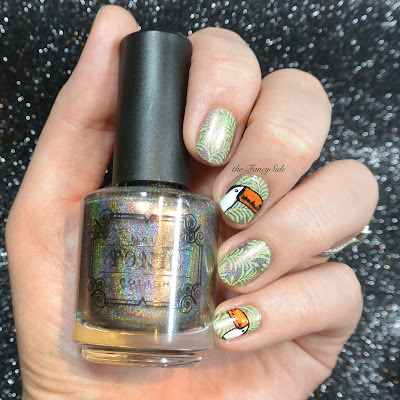 Guest Post, Nicole, Polish Me Please! lol love the happy hippo! love tomoko and the designs!! omg how stinkin cute I just saw these I cant believe I didnt before, love these!! I know right. Her stamping is amazeballs.